Amanda Johnson received her Pharm.D. from the UNC Eshelman School of Pharmacy in 2013. She then completed a PGY1 pharmacy residency in ambulatory care at Mission Hospital and MAHEC Family Health Center in Asheville, NC. After completion of her residency, Amanda accepted a position as a clinical instructor at the UNC Eshelman School of Pharmacy in the Division of Practice Advancement and Clinical Education (PACE). In 2015, Amanda assumed the role of clinical pharmacist of UNC Health Care’s Carolina Assessment of Medications Program (CAMP) and became a board certified ambulatory care pharmacist. 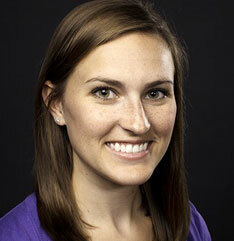 Additionally, Amanda is an assistant professor of clinical education with the UNC Eshelman School of Pharmacy. Amanda’s clinical practice at CAMP involves development and implementation of comprehensive medication management services for a variety of patient populations within the UNC Health Care System. She serves as the co-director of UNC Health Alliance’s Learning Series, a webinar based continuing education program for physicians and providers of the Alliance. She is involved in precepting fourth-year pharmacy students during their ambulatory care advanced pharmacy practice experience. Upon successful completion of the Certified Pharmacy Benefits Specialist curriculum, Amanda accepted the position of Clinical Advisor at TransparentRx.